This recipe was given to me by one of my mentors who taught me (almost) everything I know about pastry, cake and the like. I’ve served it to various people and used to make it often but hadn’t thought of it in a while until a friend requested a cheesecake recipe over Christmas. 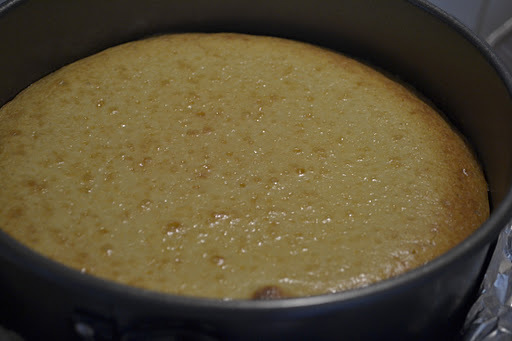 It’s a super smooth cheesecake that has that cloying mouth feel of clotted cream. Everything about it is decadent and yet, surprisingly, it’s not overwhelming. It’s the type of cheesecake which allows another slice without making you feel like you need to undo the top button of your jeans. It’s the cheesecake to take when you’re trying to win over your mother-in-law. Eat it plain (we did) or with berry compote. Flavour it any way you wish. I’m partial to vanilla myself but lemon works well as would lime, orange (you could use chocolate biscuits as the base then) or possibly rosewater, although I’m not 100% convinced of that… I made half the amount here, in a 20cm tin. My only gripe was that it wasn’t as high as I would have liked. If you make the full amount (that listed below) bake it in a 24cm tin. Place the biscuits into a plastic bag and bash with a rolling pin until finely crumbed. This works well as a stress reliever. Alternatively blitz them in a food processor. Melt the butter and add to the biscuits (now in a bowl) stirring until all incorporated. Press this into the base of the tin using the back of a spoon to smooth it out. Refrigerate until needed. 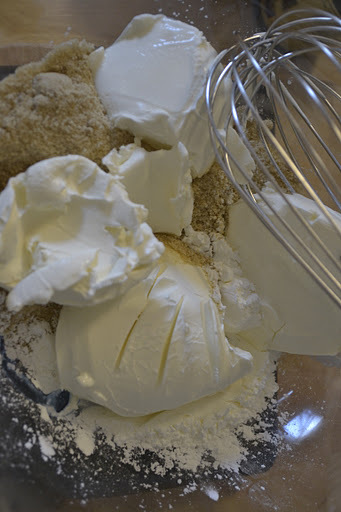 Place the sugar, cornflour and cream cheese in a bowl and using a spatula incorporate until smooth. Alternatively using a beater, beat until smooth. It’s very important that the mixture be smooth at this stage because you won’t be able to do anything about lumps later on. Take time here. It’s worth it. Add in the cream, vanilla and yolks and whisk together. Pour this mixture onto the biscuit base and bake until just set in the middle and slightly raised on the sides. It’ll take between 40 minutes and an hour or so. It should still wobble slightly in the middle when you take it out. Allow to cool to room temperature before refrigerating. Then eat at will. Preferably with friends.